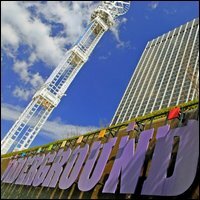 Located in the heart of downtown, Underground Atlanta is bustling with activity, day and night. Enjoy daily entertainment, fortune-telling, homemade candy, delicious dining and souvenir shopping. Learn of Atlanta’s past on a guided history tour, and after dark, enjoy clubs and restaurants in Kenny’s Alley for a night of pure entertainment. Parking: Paid parking is available in parking garages and lots surrounding Underground Atlanta. MARTA: Take the Red/Gold or Blue/Green Line to the Five Points station. Exit onto Peachtree Street and walk south. Turn left on Alabama Street to reach the destination.